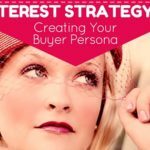 It may come as no surprise to you that I’m rather bullish on Pinterest and the way its use can impact marketing success. I’ve seen it. I’ve done it. And it’s not that difficult! 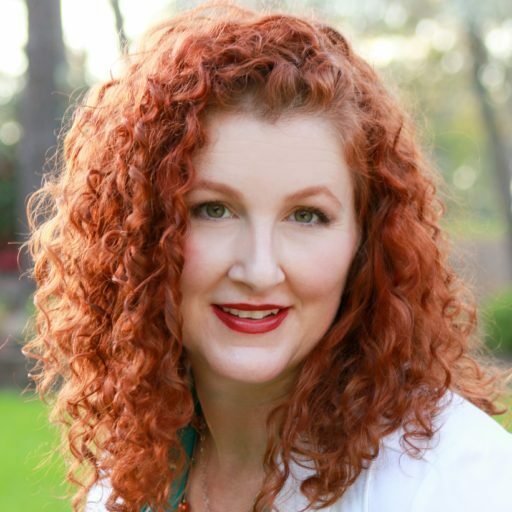 It’s for those reasons I’m taking to the blog to defend my favorite platform against rampant underappreciation (as reported in a study by Social Media Examiner) by my fellow marketers!! I feel like I should be on a picket line. Last month, Social Media Examiner released their 2016 Social Media Marketing Industry Report. Responses came from just over five thousand social media marketers, of which 38% work in small businesses of 2-10 employees, 23% are self employed, and 18% work for businesses with 100+ employees. Sixty-five percent are looking for B2C customers and 35% are in the B2B arena. Not surprisingly, 20% of the respondents work in Marketing, PR, or Advertising. The night highest was Consumer Goods. Sixty-nine percent are between 30 and 59 years old and 57% were female. The majority (52%) are from the US, followed by the UK, Canada, and Australia. For the record, I’m self employed and have used Pinterest for both B2C and B2B companies. It’s definitely worth a read (get it). It asks just about every question you would want to ask yourself, down to breaking out B2C and B2B where relevant. And it is always interesting to see what your peers are up to. It should be noted that for the most part, this study is not about the effectiveness of any particular social media platform. Rather, it reports on the perceptions of marketers and their own use of each. As we all know, perceptions can be flawed and biased and are really no good basis for your own marketing strategy! Interestingly, measuring the effectiveness is consistently one of the biggest challenges facing social media marketers. Shockingly, the percentage of marketers using Pinterest in 2016 dropped from 45% to 40%. Why would this be? 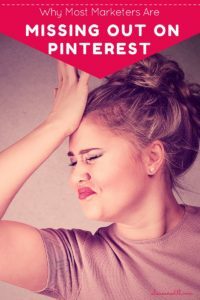 Well, new social networks have popped up, and there is always a draw to the new and shiny, but since most reported immunity to shiny-object syndrome, it seems more likely that social media marketers have not learned how to make Pinterest successful for them. After all, it really isn’t a social network. It’s a search and discovery platform. 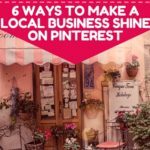 So, it makes sense that people accustomed to Facebook and Twitter would not instinctively know how to make Pinterest work for their business. Experience definitely plays a part as well. Of new social media marketers, only 27% are using Pinterest – whereas 90% use Facebook and 59% use Twitter. With 1-2 years of experience, Pinterest adoption increases to 36%. After two to four years, 41% of marketers use Pinterest. With four or five years, that increases to 48%. 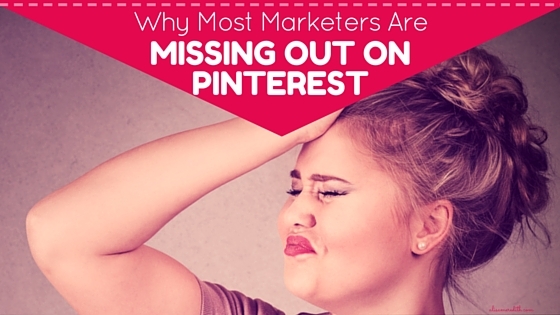 Fifty-eight percent of the most experienced marketers use Pinterest. Not surprisingly, only 34% of B2B marketers use Pinterest, but 45% of B2C businesses use it. This is likely because of the perception of the relative importance of Pinterest to meeting marketing goals to platforms such as Facebook, but could it also be because the more experienced marketers know how to use Pinterest more effectively and therefore value it more highly? Of those spending one to five hours a week on Pinterest for their business, only 30% use Pinterest; but when there are 40+ hours a week for social, 58% spend some of that time on the platform. Again, it’s clear that Pinterest it not top priority for most. Really? Behind Google+? Are customers really there, or are marketers hoping for SEO benefits? If you have just one hour a week to use exclusively on Pinterest, you CAN make it work. Get yourself a solid strategy (I can help with that) and sign up for Tailwind to schedule fresh pins coming in all the time. There! 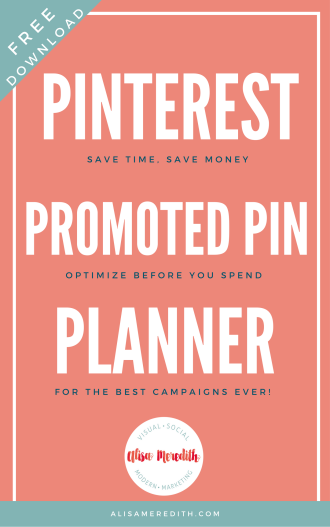 You really don’t need 40 hours a week to fit Pinterest into an effective marketing strategy. Last year, 51% of marketers said they planned to increase their use of Pinterest. This year it fell to 42% -and fully one in three marketers say they have NO plans to use Pinterest at all. Only one in four say they don’t plan to use Google+. What the whaaat?!? What is there to learn about Google+ these days beyond why people are ignoring it? Well, apparently more than there is to learn about Pinterest. Forty-eight percent said they want to learn more about G+ and only 45% are interested in learning more about Pinterest. And a whopping 70% said they have no plans to utilize Pinterest ads. Why? When they are more affordable than any other social advertising and have just released retargeting and lookalike audiences? The importance of visuals in marketing is coming through loud and clear. Seventy-two percent say they commonly use visuals in their social media marketing and 37% say it’s their most valuable type of content (up from 71% and 34% last year). The next highest being 68% for blogging with 38% saying blogging is their most important content type. Seventy-two percent say they plan to increase their use of visuals this year. If this is true and they are creating unique content with powerful visual elements, why aren’t they pinning?? Pinterest rewards content creators – like you! You’ve told us you’re using visuals and you’re blogging. 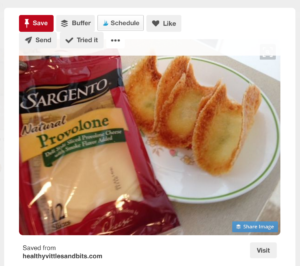 Pin your content to Pinterest! 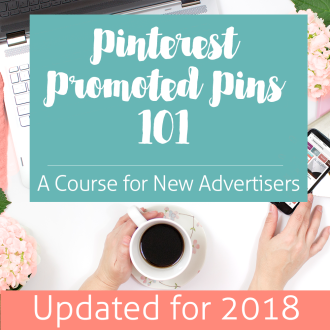 When you pin, or even when someone else pins or repins, Pinterest makes it easy for people who find the pin to follow your Pinterest account or to visit your site directly. I’ve seen “Visit” “Read it” and “Follow” buttons – all benefitting the content creator rather than the individual pinner. You’re already doing the hard part. Make the work you are already doing go further. 2. Pinterest drives website traffic and lead generation. Why are you using Facebook? To create brand awareness and engage loyal fans? Probably. But you also probably hope to drive action that you can measure and turn into sales. Pinterest is the second-largest driver of social media traffic referrals behind Facebook. For many businesses who have embraced it, it’s actually number one. 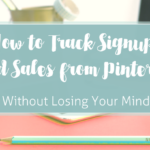 One of my past clients got to the point where Pinterest was driving more traffic referrals than ALL sources combined – social, direct, search engine – everything. This resulted in over 100 new leads a month – also more than all other sources combined. Are you already creating powerful content? 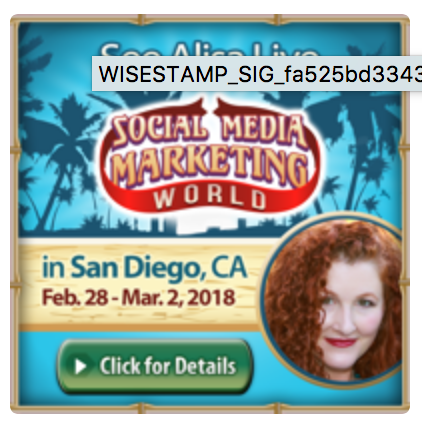 Grow your email list and increase sales when you create multiple teaser images to draw people to your landing pages and supporting blog posts. Falling behind on your own content or that for your clients? Let me help you with my new Content Offer in a Box service. You can bet Pinterest success is baked in. 3. It’s not “too late” to succeed on Pinterest. Back in the early days of Pinterest, I grew an account to over twelve thousand followers without really trying. Now, it’s a bit like pulling teeth to get people to follow. This is by design. Pinterest wants people to follow interests and discover new things rather than limiting their pins to just those they follow. That’s why your feed is now made up of pins by those you follow, pins that are picked for you, and promoted pins. This is also one of the reasons why follower count doesn’t matter. Just because smart feed doesn’t show all your pins in chronological order to all your followers the instant you pin them does not mean they will not be seen. Each month, pinners perform 2 BILLION searches. That means that your content will be found by many more than those who follow you, especially if you’re making smart use of keywords and powerful images. Beyond text search is image searching. Over 130 million image searches are performed each month. So, if you’re selling physical products, you must be pinning to help people know how to buy from you! 4. A pin lasts forever. Unlike a Tweet where the half-life of any update is 24 minutes, a Facebook update lasts about two hours, and an Instagram photo with a half life of about 72 minutes, a pin is discoverable forever. In fact, some pins don’t even start to pick up steam until weeks or months after it’s first pinned. 5. 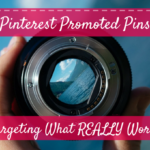 A promoted pin lasts forever. That pin you promoted for a month last year is still out there gathering repins and likes. The repins that happened during the promotion are likewise spreading your content long after your budget runs dry. Can you say that about any other advertising platform? 5. If your competition doesn’t get it, that’s an advantage for you and your business or clients. 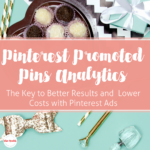 The widespread, mistaken impression that Pinterest is not worth the effort means you can swoop in and get more of the benefits for yourself. Are you intrigued yet? 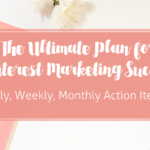 If you’re one of the marketers who has tried Pinterest without success, I’d love to help. My Pinterest strategy, setup, and training packages start at $849 and will give you everything you need to not only start off with an optimized profile and 10 model boards, it will also explain why those boards, what belongs in them, who you should engage, titles for future boards (and what to pin on them) as well as activities to engage in daily, weekly, and monthly for continued success. Email me or hit me up on Twitter to get started.